Interested in attending law school? Students intending to pursue law school after graduating from Meredith can plan an academic program to develop the skills and traits law schools expect from applicants. Rather than requiring a specific program or major, law schools insist on a broad background in the liberal arts. 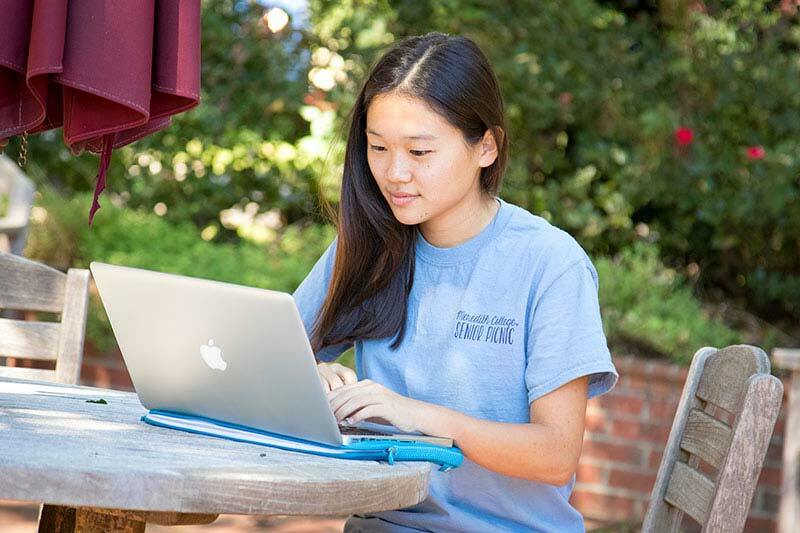 At Meredith, students enroll in courses that allow them to reason analytically, practice communication effectively, both orally and in writing, and develop an understanding of human institutions and values in connection with law—skills law school look for in applicants. Dr. Whitney Manzo coordinates Meredith's pre-law advising. She assists students in determining the admissions requirements for schools to which students expect to apply and helps students make sure they have met those requirements. So You Think You Want to go to Law School?